I am currently ensconced in the noble endeavour of proofing the final copy for the forthcoming trilogy of PorterGirl novels, Old College Diaries. I’m not going to lie, it is not a task I relished and it is certainly sending my eyes peculiar, but it is not quite so much the onerous mission I thought it might be. For one thing, it’s a good opportunity to pick up on the many irritating typos missed by my hopeless editor the first time around, but what I wasn’t expecting was that I’m actually quite enjoying it. I realised that I hadn’t read First Lady of the Keys since it was released; I’ve dipped in and out to check references from the later novels but I haven’t cast a reader’s eye over it for quite some time. And reading through all three books one after the other is certainly an interest. As many of you know, large sections of the early parts of First Lady were written for this blog when I was still a Deputy Head Porter. When I first typed those initial, seemingly innocuous words – Late September, just before the start of Michaelmas Term… I could never have imagined the tumultuous and unexpected paths along which they would eventually lead. Reading now the charming naivety of both Deputy Head Porter the character and my own writing stirs something of a nostalgic wonder in my now slightly more cynical soul. Large parts of the book – and, indeed, my experiences at the real Old College – had slipped from my memory and from a personal point of view, it has been quite the joy to revisit them. Following our heroine through The Vanishing Lord and, most recently, Sinister Dexter, I can really see how she has developed and grown into her role and made it very much her own. The writing, too, has evolved with her and the differences between the first and third books are quite stark, to my eyes. In many ways, First Lady was the easiest to write. It was my first novel and I had no real idea about what writing a proper book entailed. I tapped away merrily at the keyboard until I was satisfied that my story was told and that was pretty much that. It certainly isn’t my strongest work, but that beautiful, unfettered freedom of writing when you have no idea what you are doing is evident throughout the book. It has a definite charm of unhindered ignorance. Much like DHP herself. I won’t bore you with the processes that followed for the next two books, suffice to say I tackled the steep learning curve as ferociously as possible and, I think, improved with practice. I’m proud of my work and to see it all brought together in one volume is obviously pleasing, but also strangely prophetic. Old College Diaries sees the story of Old College told through the eyes of Deputy Head Porter, a literary device that will be abandoned for the forthcoming instalments. Fear not, though, PorterGirl purists – I am writing the fourth novel as we speak and I can assure you that none of DHP’s whimsical musings are lost at all. We now have the added benefit of other characters’ whimsical musings as well. But anyway. In this way at least, it is the end of an era for PorterGirl, but one that heralds a bold new approach and will, I hope, raise the bar for the books that follow. And this is prophetic because I myself am facing significant changes in both my personal and professional life which somehow mirror the purpose of Old College Diaries. A chance to move on, to raise the bar, to begin again with the benefit of experience, new-found enthusiasm and a few lessons under my belt. Final details are not entirely decided but final decisions most certainly are. All I need to do is make it happen. And making things happen is something at which I have become rather adept over recent years, so I am certain there will be updates of interest before very long. There is a rather odd, Joycean, sense of things that everything has come full circle, only to begin again. Change is rarely predictable, but my optimism for the future is encouraged by an overwhelming feeling that this is very much a beginning, rather than ‘The End’. 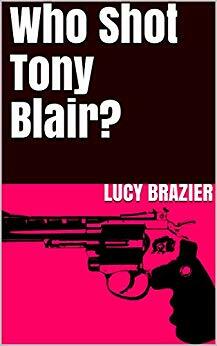 Who Shot Tony Blair? Website Is Live! Obviously, it is very early days for this site and new and exciting (maybe exciting) content will be added regularly. It might take a little time to work out a posting schedule, but I shall open proceedings with weekly episodes and updates and see how we get along. Thank you to my beloved Cabinet, who have been absolute bricks, but also to the many of you who have offered ideas and support along the way – I shower a thousand kisses upon you. Well, the ones of you that look like you’ve had a wash, at least. … That’s the plan, anyway. 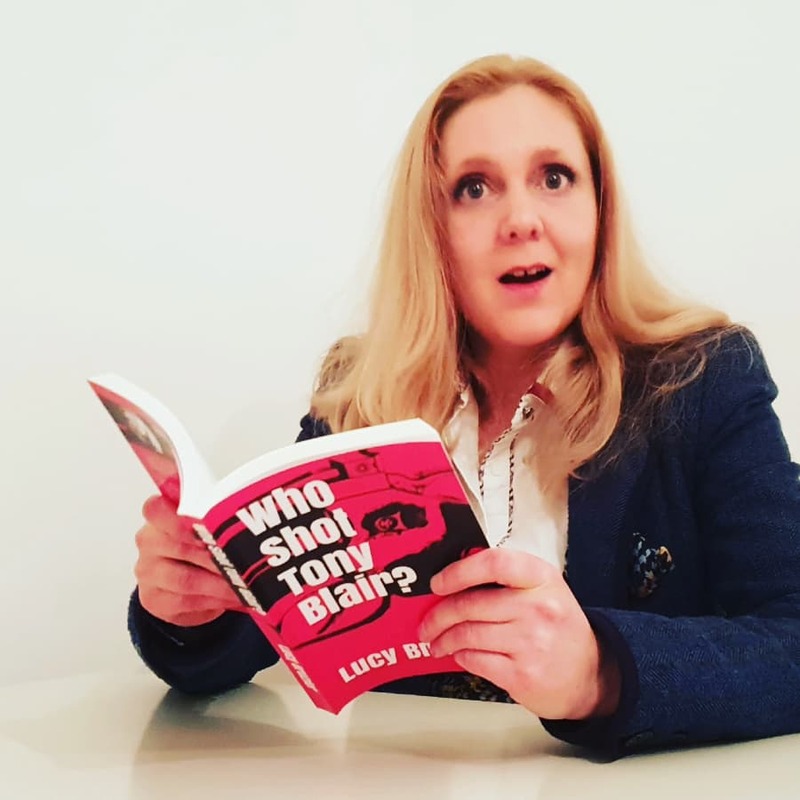 Who Shot Tony Blair? – It’s A Wrap! What in buggery is Who Shot Tony Blair?